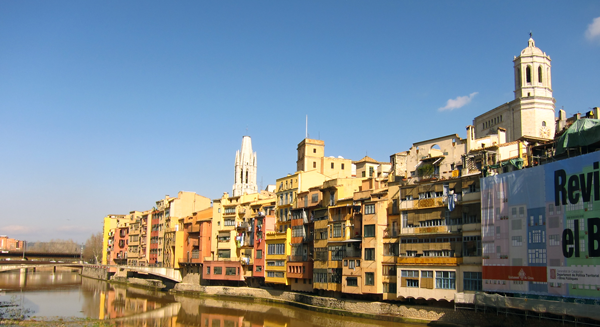 Girona is one of Spain’s major tourist attractions. The ancient town center with Calle de la Força—an original Roman road—running through means that we are nearly always in the midst of tourists. The bridges, in particular, are favorite spots for tourists to photograph themselves either alone or with their companions. The advent of the selfie stick has made it possible for tourists to get a beautiful shot of themselves with the river behind and the cathedral in the background. I’m sure you know what a selfie stick is. Wikipedia defines it as:” . . . a monopod used to take selfie photographs by positioning a smartphone or camera beyond the normal range of the arm.” They have become more and more sophisticated, with remote shutter releases of various kinds.